As a Florida native, I've travelled extensively around the South… primarily, to escape the swampy apocalyptic hellscape that is Florida. 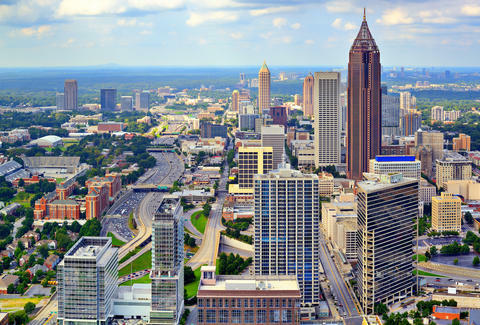 And during my jubilant gallivanting, I've had the great pleasure to pass through Atlanta a number of times (and no, not only during a layover at Hartsfield-Jackson) and take in so much of what ATL has to offer. I've sampled your cuisines. I've frequented your bars. I've watched your show, written, directed, and starring Donald Glover. Still, I have my questions. 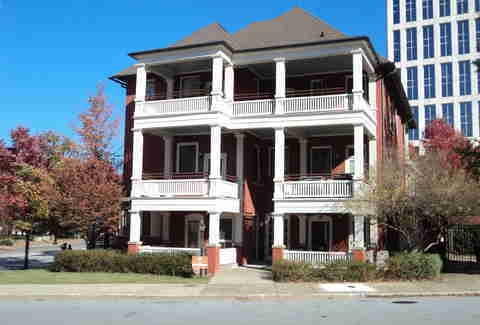 For instance, why the hell are so many streets named Peachtree? And why are your strip clubs so incontrovertibly dope? After many sleepless nights, I decided to launch an investigation. My first stop was the library… where I could use their internet for free. It was there I realized I had unintentionally taken the red pill and descended down the rabbit hole (and not the one that sells bizarre figurines on Colquitt Ave). It led me to an awareness that there are actually a lot of things I simply don't understand about Atlanta… 10 to be exact. Just what in the hell is "Hotlanta?" "Hot 'Lanta" was an instrumental Allman Brothers Band song that only appears on live albums, as it's a jam. Not THE jam, but a jam nevertheless. Since this recording happened in 1971, I can only assume that this is the first time the word "hotlanta" was used. But how did it become a nickname for Atlanta? I ask, because literally everyone in Atlanta hates the nickname. I feel like it's the equivalent of being called "tiger" by some guy named Rodney who's dating your mom. Though I suppose "New York of the South" isn't much better. I know that ATL boasts extraordinary restaurants and chef talent. Hell, Staplehouse -- O4W's crown jewel -- was recently named the best new restaurant in the US. I'm more curious about a specific food or dish. Nashville has hot chicken, NYC has the bagel, Denver -- controversially -- has green chile, and even Seattle has teriyaki. But what about you, ATL? Is it fried chicken, or perhaps the biscuit? Nope. Both those items are ubiquitous with a slew of Southern cities -- from Memphis to Charleston. For being the ninth-largest metro area in America, not having a specific dish to lay claim to is… suspicious. 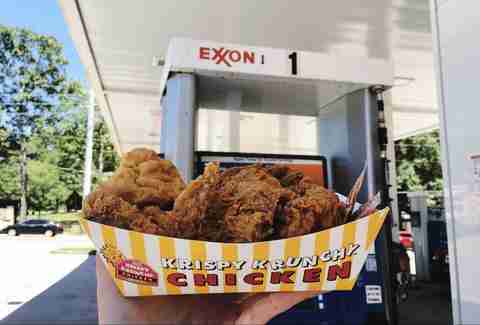 That said, you do pride yourself on phenomenal gas station food, which not a lot of places can do. MARTA can't be that bad, right? 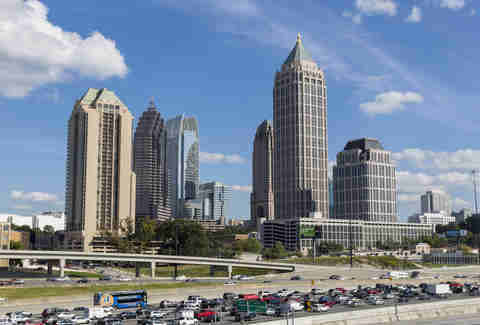 If you Google "Atlanta traffic," you'll get an image of what looks like a freshly removed human heart. Everything is red, and nothing is moving. Whatever happened to Jermaine Dupri? He produced and worked with talent like Mariah Carey, Usher, Alicia Keys, and Aretha "Seriously he worked with her?" Franklin. At one point -- in the mid-'90s-- his net worth was around $60 million. He welcomed us to Atlanta, told us money ain't a thing, and created the monumental rap label So So Def. Then, the turning point. 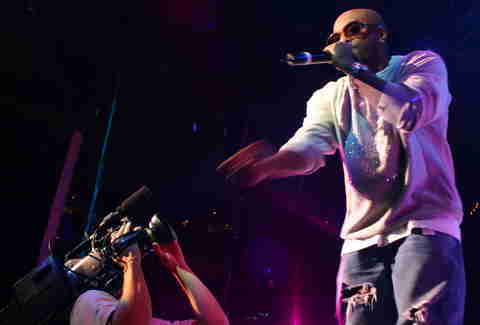 In 2007, Dupri published a book titled Young, Rich, and Dangerous: The Making of a Music Mogul. In 2007, Dupri was 35. He was neither young nor rich, and I'm unsure if he was ever dangerous (his father was a Columbia Records exec). The last project his name's been attached to is The Rap Game which premiered on Lifetime… ostensibly the antithesis of a young, rich, and dangerous television network. Why are there so many streets named Peachtree? 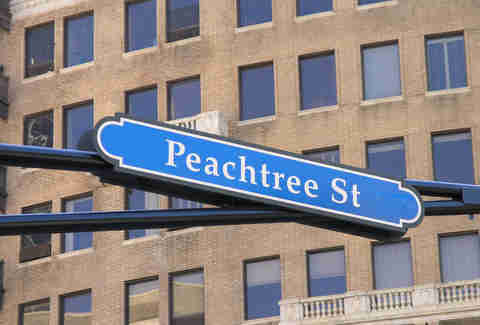 There are 71 streets with the word "Peachtree" in their name. Are there even peach trees in Atlanta? Surely there aren't 71. Where the hell are they? Why is this a thing? Here's the only answer that made sense: sometime in the early 1800s when people couldn't pronounce words properly, someone wanted to name a settlement Standing Pitch Tree after the pine trees. This is because pine trees had a lot of sap (or pitch). Then, people kept saying to one another, "Hi neighbor, would you like to go sit by the railroad tracks down in Pitch Tree and talk about muskets or hair tonics?" But because of their twang, "pitch" turned into "peach," and for one reason or another, that really, really caught on. 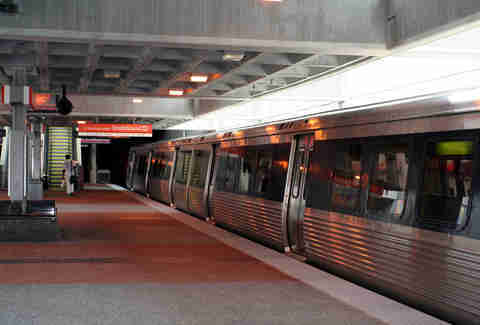 When I’ve been to Atlanta, I didn't need to ride MARTA because my friends have cars, which was nice. But I did hear people talk about it all the time. They hated it. They loved it. They took it to East Point for lunch. They never rode it Downtown, because who goes Downtown?! They always liked Jan better. MARTA MARTA MARTA! That said, being the eighth-largest rapid transit system in the US is pretty significant, especially when you factor in that the state offered zero dollars in funding for around 30 years. You all know Margaret Mitchell wrote Gone with the Wind because she broke her ankle and was just bored, right? You know that, don't you? Hot take: Her house isn't even that cool to visit. 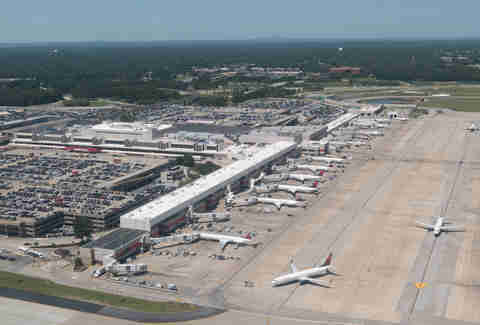 How is Hartsfield-Jackson the world's busiest airport? SINCE 1998. Look, I'm no hoity-toity airplane scientist, but I am an internet writer. Therefore I'll surmise that Hartsfield is an easy place to catch a connecting flight to Miami, New Orleans, New York City, and Cincinnati (the Atlanta of the Midwest!). If my logical presupposition is correct, that means… you'll probably yell at me in the comments. But being a busier airport than New York, Paris, LA, Tokyo, or Sao Paulo? That's a lofty accomplishment I'll probably never understand. 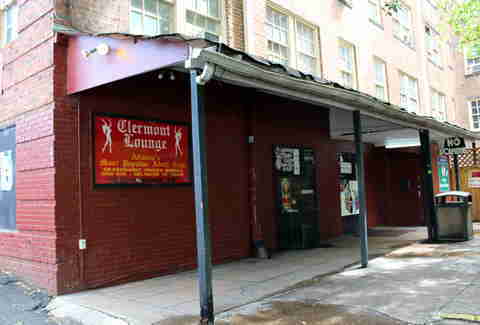 After an exhaustive effort, I've concluded there are approximately 35 strip clubs in and around Atlanta. And from what my friend's told me, most are pretty good. My friend also told me that sometimes Magic City has karaoke and that if you challenge a dancer to a twerk-off, you will lose and it will be filmed and uploaded to YouTube where your aunt will see it and then call your mom who will make the upcoming family picnic REAL uncomfortable for everyone. I don't understand how anyone can like this team. And I'm a Redskins fan. At the time of this post, they're first in the NFC South… but c'mon. Do you really think that will last? Your QB's nickname is "Matty Ice" and he looks like a spokesperson for Warfarin trying to tell me about DVT as he's painting a reclaimed wooden chair. Also, why do you need a new stadium? 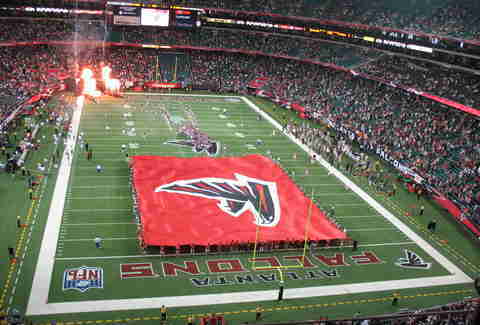 What was wrong with the Georgia Dome? They hosted artistic gymnastics and team handball in '96. It's practically a historical landmark. Alex Robinson is a Cities Editor at Thrillist who intentionally left anything Outkast-related off this list for a reason. They can do no wrong. Talk to him about how great the band Microwave is on Twitter @itsalexrobinson.